The bright days of the changing season are here. The warmer weather calls for a wine that can keep its cool as the days get longer, and Sauvignon Blanc is a natural choice in the Napa Valley. Aged with minimal or no oak, the clean and refreshing nature of this varietal has the potential to compliment the crisp spring air. These shorter aging requirements lead to fresh wines that are released just in time to create quality pairings with first of the season harvests from the garden. Here are some of our favorite wines, and some of the menu items our friends and family will be enjoying soon. Up first, a winery that has been a family business for over three generations, Hill Family Estate. Since the inaugural vintage in 2001 Alison Doran has been winemaker alongside owner Doug Hill and the family team. Alison honed her talent under the tutelage of renowned wine expert Andre Tchelistcheff, while earning a degree in wine making from UC Davis and working hands on in Alsace, France. Their 2013 Napa Valley Sauvignon Blanc is fermented in 100% stainless steel to preserve the wine’s clean texture with fresh acidity and Meyer lemon and delicate aromas of lychee and white peach. The next salivating thought we have is of a spicy avocado and cucumber soup, a seasonal must have this early in the year. A dash of green curry in the brings out the herbaceous nature of the wine, while the sweet honeydew melon flavor cradles the spice. Located right in the middle of the foodie paradise of Yountville, the Hill Family tasting room offers walk in tastings in a relaxed atmosphere with charming decor. If you are interested Sauvignon Blanc with more muscle, taste the Hill Family “Tiara’ Vineyard Sauvignon Blanc. It is fully oaked and carries mush more weight not just due to the barrels, but from vineyard selection as well. Further north in the Napa Valley is a newer operation that shows Sauvignon Blanc as a great choice for springtime. Kelly Fleming Wines produce a very aromatic and balanced, richly textured version of Sauvignon Blanc. 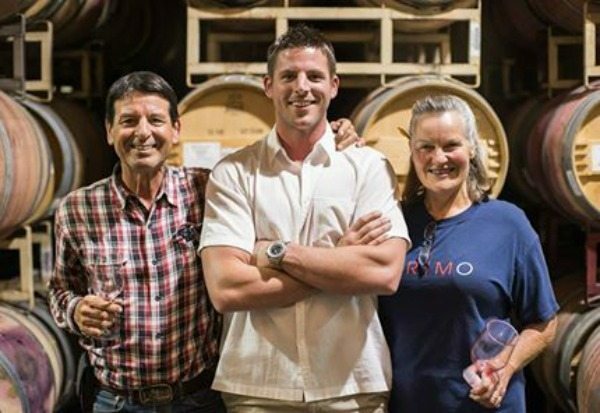 Making her dreams of a small, family owned winery come true with her first vintage in 2002, owner Kelly Fleming has garnered much attention for her Cabernet Sauvignons as well. The Sauvignon Blanc winemaker Rebecca George crafted the 2013 in a classic California style. While the wine sees 60% stainless steel, 30% neutral French oak and 10% new French oak, the perfumed aromas of stone fruit and honeysuckle are bolstered by hints of toasted vanilla. It’s a creamy yet refreshing texture, and paired well with grilled asparagus, wrapped with pancetta and topped with chevre. Tucked away on the west side of the valley floor, Kelly Fleming Wines has a rustic feel with sophisticated wines that deliver. Whether you are packing light for a lunchtime picnic or planning a sunset soiree on the patio, we see Sauvignon Blanc around a lot this time of year. On the busy intersection of Washington and Mulberry in Yountville, or in the more bucolic scenes of the Napa Valley, we can “Make it Happen” for you on any occasion. We can get dinner reservations at Yountville’s exclusive restaurants, as well as set up more private tastings in the rural outposts of the Napa Valley here. Still need more Sauvignon Blanc? There is a national day for that. April 24th is national Sauvignon Blanc day Take a look below to see how one Napa Valley winery celebrates.